The Federal Budget has delivered new funding for the next stage of the transformation of Sub Base Playtpus on Neutral Bay into a wonderful harbourside facility for our community. I have been fighting for funding to help complete the project and the Budget has allocated $11.4 million to allow the federal government’s Harbour Trust to get on with the job at Platypus. The Harbour Trust was established by the Howard government in 1998 to ensure former defence sites around our Harbour remain in public hands in perpetuity. Following a major decontamination process I secured federal funding to see the site permanently opened to the public for the first time in 150 years. Many residents have enjoyed the harbourside promenade and new park that has been created at the northern end of the site since its opening in May last year (and, if you haven’t yet, I would encourage you to take a look!). The funding announced in the Budget will allow the Harbour Trust to get the final stages of the project underway – including plans for new open space with sweeping views of the Harbour on the site of the old torpedo factory. It will be a lasting legacy for this and future generations and is one of the projects I have been most excited to champion for our area. The Harbour Trust is currently finalising its concept plans for the next stage and consultation with the community is currently underway. If you would like more information please don’t hesitate to contact me. 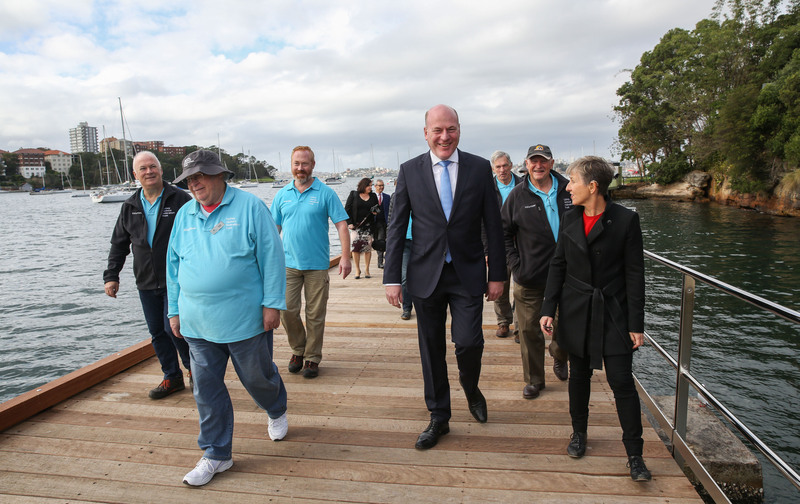 Harbour Trust CEO Mary Darwell (left), North Sydney MP Trent Zimmerman and Volunteer Restoration Team members at the opening of the new walk and submarine themed playground at the former torpedo factory at Sub Base Playtpus, North Sydney on Wednesday 16 May 2018 when the new facilities were opened to the public for the first time in 150 years.